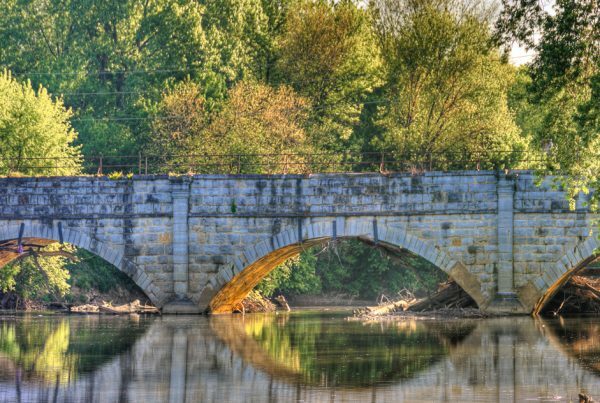 This full-day itinerary explores Williamsport’s must-see sites related to the Civil War, including where the Falling Waters Battle took place, marking the end of the Gettysburg Campaign. Begin your visit of this delightful canal community at the Town & Local History Museum, then drive out to the Falling Waters site (5 miles from town). Next, peek into lives of “canawlers” at Cushwa Basin. 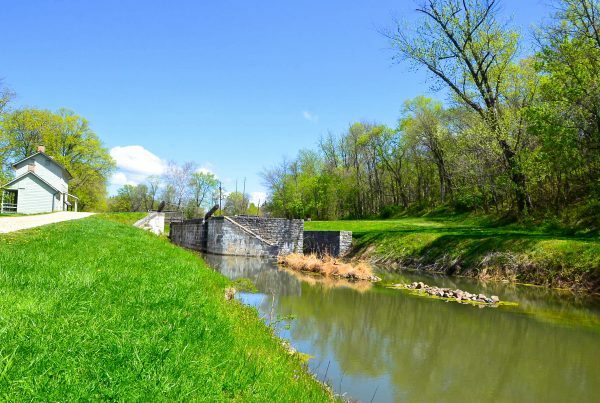 If you’re feeling adventurous, bike 5 miles down the towpath to where the last of Confederate troops crossed the Potomac River after clashing with Union cavalry at Falling Waters. At Doubleday Hill enjoy dramatic views across the Potomac and learn about the hill’s significance during the war. Visit the burial sites of notable people at Riverview Cemetery then take a short walking tour of town that includes some quirkier highlights. During the battle, the 1st and 3rd Cavalry Divisions of the Army of the Potomac, under Brig. Gen. Judson Kilpatrick, charged the Confederate rearguard under command of Maj. Gen. Henry Heth. Some of the fighting took place on the hill next to the house. Though taken by surprise, the Confederates were able to fend off the Union Cavalry (of which George Armstrong Custer was a part). They then retreated to the river crossing about 2 miles farther down the road and made it across. Unfortunately for the Confederates, Brig. Gen. J.J. Pettigrew had been mortally wounded in the battle (shot near the house) and died several days later at Bunker Hill. 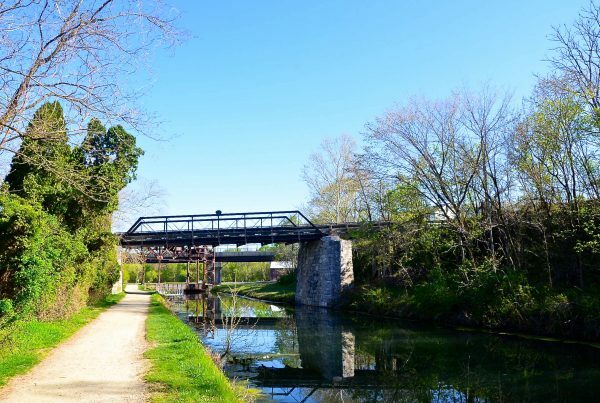 To see the site of the river crossing, you must access it from the C & O Canal towpath (5.2 miles one-way from Cushwa Basin). 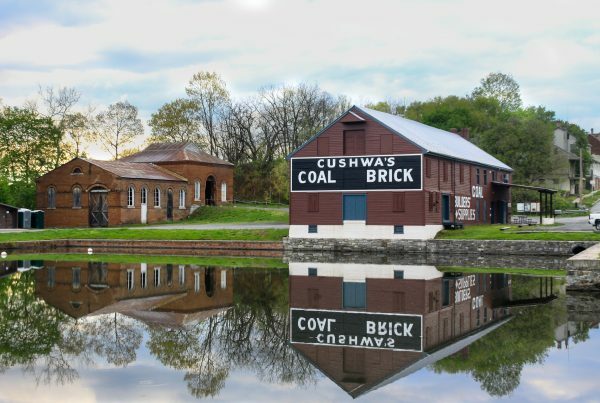 Head back to Williamsport to explore Cushwa Basin. 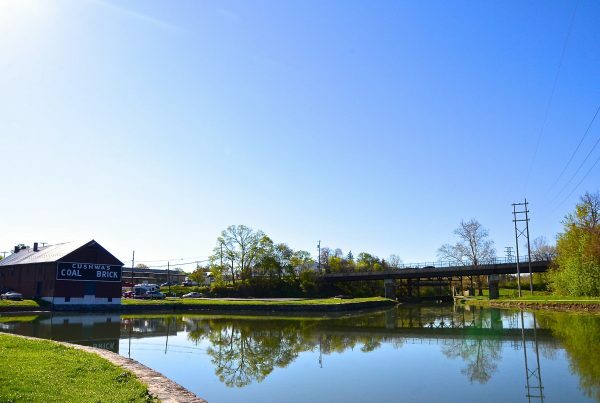 Williamsport has more canal features within a half-mile stretch than any other town along the 184.5-mile canal. 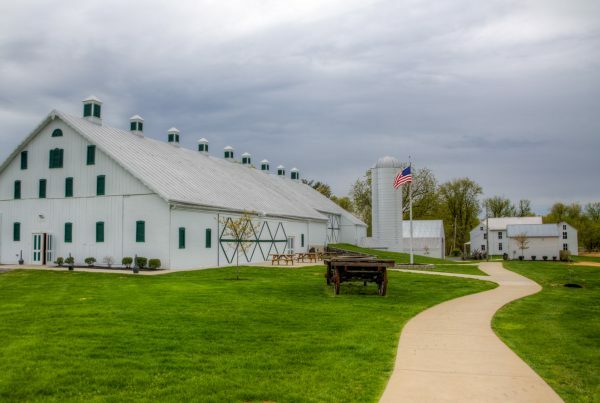 An aqueduct, a lock and lock house, turning basin, trolley barn, and both a railroad lift bridge and Bollman truss bridge make up the collection of historical gems, all examples of major canal structures. In addition, you’ll find a canal warehouse repurposed as a visitor center (1 of 7) for the Chesapeake & Ohio Canal National Historical Park [http://www.nps.gov/choh/index.htm] (summer hours: daily, 9 AM – 4:30 PM; winter hours: Wednesday – Sunday, 9 AM – 4:30 PM). Before you head out to explore Cushwa Basin and the towpath, pick up the walking tour brochure in the visitor center. Continue downstream along the canal towpath to Lock House 44 (1 mile round trip from Cushwa Basin). If you want to drive to Lock House 44 from Cushwa Basin, drive up Potomac Street 1 block and turn right on Vermont Street. Take Vermont 3 blocks to the end, bearing right onto Canal Street (cemetery on your right). Take an immediate left onto Main Street; the lock house parking lot is just past the houses.